Keeping you gear dry and secure is essential on any long or short trip. 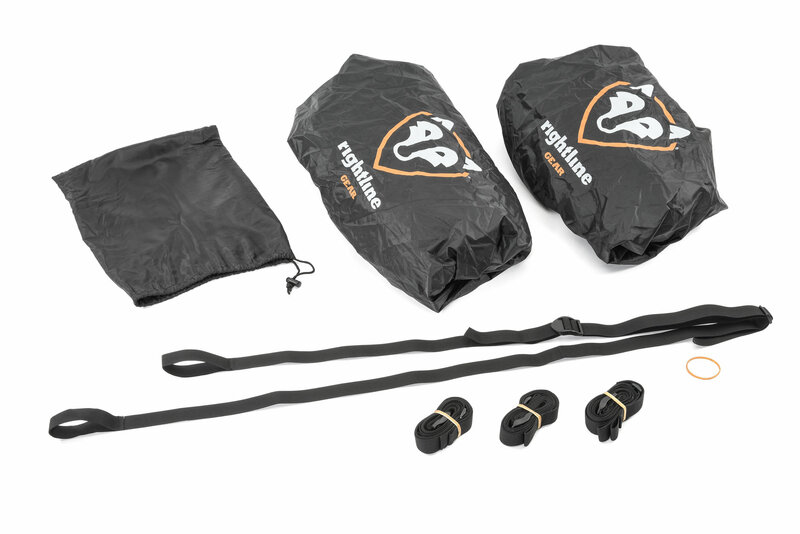 The Hitch Rack Dry Bags by Rightline Gear, is the perfect choice for protecting your valuables when they are mounted outside the vehicle. 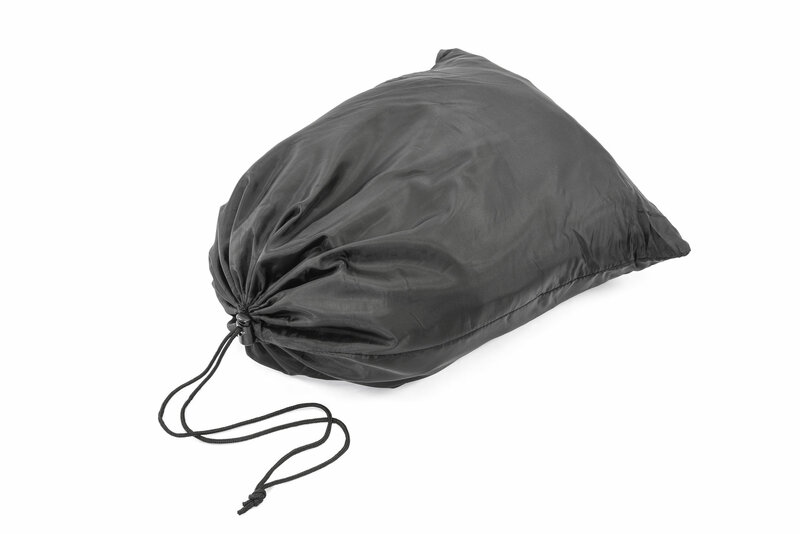 Constructed from heavy duty Para-Shield™ material, these bags are cut and tear resistant and are designed to take the wear and tear of being exposed to the elements. This pair of bags can sit side by side on most brands of hitch mounted cargo racks and the included straps will secure the bags in place onto the rack. When not in use, these bags can be folded up easily and placed into the included stuff sack for storage beneath the vehicle’s seats. Each bag is capable of up to 17 cubic feet of storage, and measure 30” x 22” x 55”. Sold in pairs. Heavy Duty Storage: Each Hitch Rack Dry Bag is made from strong Para-Shield material that is resistant to cuts, tears or abrasions. All seams are tape sealed to keep the content of the bag dry! Multi Use: The bags can be placed side by side on most brands of hitch mounted cargo racks, or used individually on top of the vehicle’s roof rack. No Size Limits: These bags fit the gear that is inside them and are capable of handling odd shaped or sized gear. Once filled, the top of the bag rolls down and connects with a heavy duty quick release buckle.